On election day for governors in 29 States and State Houses of Assembly seats on Saturday March 9, 2019, my family and I were having a late breakfast at about noon and Trace Naija, the popular music channel on DSTV, was on and featuring songs by top Nigerian artistes. Then I popped this question to no one in particular: who is your favourite Nigerian music artiste and why? My daughter, a keen music follower with her eyes on media arts as a possible future vocation, answered me and announced Wizkid and Davido because of the lyrics, beat, tempo and rhythms of their songs. Wow, I exclaimed! She explained further that their songs are popular and relate well with a youthful audience. From Lagos to Accra, Nairobi, Dubai, Johannesburg, Cape Town, London, Toronto, Houston and Atlanta, just to name a few places, Nigerian music, sometimes branded as Naija music, has created a new culture of entertainment, excitement and enjoyment as popular dance hall music in those places. Be it a bar, nightclub, lounge or restaurant, music lovers gyrate to the beat coming out of the sound monitors that are recognised and celebrated as Nigerian music. Two years ago in Nairobi, my host Uche and I visited Club 40/40, Kiza Lounge and Black Diamond where ‘Naija’ pop music is played steadily. I had the same experience in Atlanta, USA, last October when Ernest, Ralph and I visited Sage restaurant, Little Lagos restaurant, Buckhead Loft, Whiskey Mistress and Regent Lounge. I’m told that new lounges and restaurants such as Blue Lagoon and Ace also celebrate Nigerian music by Wizkid, Davido, Run Town, Olamide, Tekno, Burna Boy and so on. The effect is usually spontaneous – you just get up and begin to shake your body without any prompting to the unmistakable beats in the songs. The beats give the songs a unique Nigerian identity – a product exported from Nigeria. When Dr. Reuben Abati interrogated this subject about 10 years ago in the Guardian as the newspaper’s editorial board chair and columnist, he wrote that the lyrics in the music by most Nigerian artistes were meaningless and disgusting. The reactions from different quarters, especially the music industry, were swift and defiant and the matter became highly controversial at the time. The artistes and their promoters fought back vehemently, challenging Dr Abati to a dwell in the court of public opinion and he had to publish countless rejoinders on the matter. Between then and now, the successes of our pop music stars have been remarkable and their achievements profound, thereby earning recognition globally. Even if you do not agree with content and messaging strategy of the lyrics, the fact remains that the music produced is very popular, enjoyable and hilarious to the music consumer, and very danceable, too. There was a gap our artistes identified which they filled and the result was the big bang effect – they suddenly became popular and began to make waves, and they have never looked back since then. Popularity and celebrity status varies among the music stars. Fame, which usually comes with a price, may come too early for some of our rising and well established stars, and when there is no consistency in their respective musical repertoire or when the successes achieved are not properly managed, it could spell trouble and declining fortunes may set in. Stardom means experiencing a new world of bling bling, living in luxurious homes, making significant fashion statements, driving exotic cars and hiring private jets. For the male folks, women are never in short supply; being super stars actually means living life to the fullest. As the discussions continued over the late breakfast, my daughter revealed a Vanguard newspaper story where Mark Dayton, governor of Minnesota in the United States of America, declared October 6 every year as Wizkid Day. That’s truly a big deal. It is remarkable. According to the story, Wizkid (real name is Ibrahim Ayodeji Balogun) was honoured because of his musical achievements as a popular Nigerian pop music star and for his role as a culture influencer. Some of his achievements include recently becoming the first African artiste to sell out the Skyway Theatre in Minneapolis; making a Billboard number one hit ‘One Dance’ with Drake; selling out the O2 Arena in London; walking the runway as a model for Dolce & Gabbana, winning countless international awards amongst other notable achievements. Wizkid has become a global brand icon much to the delight of his fans and admirers because of the popularity of his kind of music. So I was not surprised when my wife, another keen music follower, also mentioned Wizkid, Davido and Olamide as her favourite artistes. However, she specifically praised Olamide for his talent, creativity and lyrics composition. A close family friend named Burna Boy as her favourite music artiste because she likes the sound and beat of his music. All three respondents agreed that our artistes are very creative with the kind of energy in their music and amazing stage performances. For example, on December 30 last year during the closing music concert of the carnival in the pristine Ososo community in Akoko Edo local government area of Edo State, Skales, the guest artiste, dazzled everyone with a top drawer performance that lasted 45 minutes. 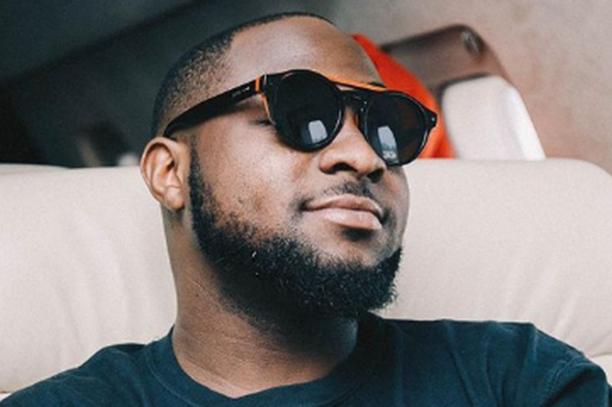 A selfie by Skales with the audience while he was on stage was instantly shared on his Instagram page – and, as would be expected, the photograph went viral in a matter of minutes. I also chatted with my senior son on the same subject and he said the new wave of recognition accorded Nigerian music globally comes down to the ‘art and science’ of producing the music. “My favourite music artistes”, he revealed, “are Wizkid, Olamide, Davido and Burna Boy”. He also told me Nigerian music evolved and gained global recognition since the days of late Afrobeat King, Fela Anikulapo – whom he referred to as a music legend out of Africa – and that it is popular today because of its unique beat and sound. “The global recognition began with Fela but the secret of the success of trending Nigerian pop music culture today is the lyrical nature of the songs and the production that goes into the beats as well as how the artistes ride the beats”, my son further revealed. The twin brothers, P-Square (Peter and Paul) – when they were still together – dominated the music scene for so many years with lyrics so beautiful and voices so melodious you began to wonder where their gift and special talent came from. Burna Boy, who recently signed a mouth-watering endorsement deal with Star lager beer, has his own peculiar style and brand of music; Pantoranking also emerged on the pop music scene with an amazing delivery of his Jamaican and African flavoured songs making him the King of Reggae in Africa! The last time Tekno performed in Nairobi, the show sold out and he was practically mobbed in excitement by his fans – especially the women – during his virtuoso stage performance. Wizkid and Davido are just in a class of their own – they’re incredible talents and great music icons and ambassadors of Nigeria. When Wizkid is singing ‘Soco’ or Davido is singing ‘Assurance’ or ‘Banana follow you’, their fans go wild in excitement, jubilation and appreciation. We also have incredible artistes such as D’Banj, Falz, Ice prince, Phyno, Banky W, Wande Coal, Flavour, Reekado Banks, Maleek Berry and Small Doctor – they have also made their marks in different ways. Wizkid’s ‘Sisi Caro’ and Davido’s ‘Skelewu’ were iconic and so popular that even 5 year olds could sing along and dance to the beats. New dance routines never seen before also became part of the pop culture, the latest ones being ‘Zanku’ and ‘Legwork’. With every new song, a new and highly choreographed dance routine was likely to follow. The female singers are also making waves and receiving media attention. Tiwa Savage is a great singer in her own right but it is difficult to ignore her in the unforgettable raunchy ‘Soco’ music video with Wizkid. According to my daughter, Yemi Alade, Omawunmi, Waje, Niniola, Temi, Sheyi Shay and Simi have excellent music repertoire and great voices that will cause you goose pimples – they’re very creative and original with their lyrics and performances. Having personally worked closely with some of these artistes – both old and new — over the last 25 years on different events including music concerts, I know that the quality of production is essential for the music to become popular and acceptable. “Olamide is very original and you can relate to his songs”, my wife explained. “Although Olamide may not have recorded the same success as Whizkid and Davido on the global stage, my view is that he’s an A-list star because of his nuanced approach to lyrics composition. Tuface – also called 2Baba — is a legend because he’s been around for a long time. His music is pure and clean; he’s intelligent and humble, and he produces mind-blowing lyrics, too,” my wife added. By the way, Tuface is celebrating 20 years as a performing musician this year. Congrats 2Baba and may you continue to excel for good! Talking about Tuface, I recall working with him about 20 years ago when he belonged to the group called ‘Plantashun Boiz’ – reminiscent of Boyz2Men back in the day — together with Black Face and Faze – three of them were the rave at the time. Edi Lawani, one of Africa’s foremost music promoters and event producers, was their manager. Our PR & event management company had hired the group to entertain our invited guests during the grand finale of the Lux beauty pageant at Eko Hotel in Lagos. And boy, they brought the roof down with their exceptional talents! The renaissance and success story of the Nigerian music industry, according to Edi Lawani, was like a tale foretold by a false prophet. “We were all hopeful but none believed it would come to pass,” Edi reflected. “African music had been in the fringes of a big blow-out outside Africa for long that it had become acceptable to let it be so. Many African artistes shunned music of Africa in its traditional grandeur and gravitated toward western music, especially the American variant,” Edi explained further. “The media in Nigeria gave more recognition to the foreign music than the local brew of Afro rhythms. ‘Americanese’ Nigerian music was, at best, a bad copy of the original and thus was stuck and going nowhere. The local audience was trapped between local traditional music and the American wannabe experiment of the reigning pop stars at the time – this was 25 years ago. Then, all of a sudden, like a bolt out of the blue, the big bang happened. A new army of local Nigerian artistes decided to look inward and get street smart by making music in ways that were strange and never before experienced. Street lingo became the lingua franca of the music flavour in Nigeria. A new era had begun,” Edi stated. The music recording industry which had been largely dominated by the foreign business interests began to divest as the Nigerian economy contracted. The gap created gave rise to nimble but efficient independent recording labels. It turned out to be the perfect time; an extra-ordinary explosion in the music industry was in the offing. The creative juices in the industry began to flow as Daddy Showkey, the Ajegunle music exponent, emerged with his very engaging type of music and pulsating stage performances. There was also Tony Tetuila, Ruggedman, Mike Okri, Tunde and Wunmi Obe, Eedris Abdulkareem, Duncan Mighty, Paul Play Dairo, Daddy Fresh, Lt Shot Gun, Mighty Mouse, Baba Fryo, torchlight bearing Zaaky Azzay and so on. The phenomenal growth experienced in the music industry in the last 15 years was aided by new and prolific indigenous music producers such as Xtreme Music owned by the cerebral Steve Babaeko; Mo’Hits which later re-branded as Mavin Supreme Dynasty under the guidance of the highly creative Don Jazzy and Kennis Music — championed by the creativity displayed by the inimitable music promoters of note and ‘twin brothers’ Kenny Ogungbe and Dayo Adeneye — and the time devoted by the emerging independent radio and television stations to promote Nigerian artistes and their music starting with Raypower 100.5 FM and AIT established by High Chief Raymond Dokpesi. Lately, additional music channels owned by Nigerians such Sound City on DSTV and 98.5 FM owned by Tajudeen Adepetu’s Consolidated Media and HipTV also on DSTV owned by showbiz impresario Ayo Animashaun have given expression and significant promotion to Nigerian pop music and the artistes. The biggest enabler turned out to be the internet as Edi noted. The internet deregulated the way music was traditionally promoted and consumed. New stars were born overnight and new audiences were created beyond the shores of Nigeria. On Facebook, Twitter and Instagram, our music artistes command incredible following; they are now culture influencers. Davido, now 26 years old (real name is David Adedeji Adeleke), is the first Nigerian artiste to have 10 million followers on Instagram, and he is an Omo baba olowo (son of a rich man). Even when his parents did not initially endorse his music career, he followed his heart and the resistance has turned into admiration because he is successful and has become famous through music. It is also very easy to watch the highly creative musical videos of our stars on YouTube. The big brands such as Star lager beer, Glo, Coca-Cola, MTN, Pepsi and Airtel came up with different platforms to engage consumers using Nigerian artistes and their music as the emotional space. There was Star mega Jam, Star Trek, StarQuest, MTN Project Fame, Glo Naija Sings, Coke Music Studio and The Voice sponsored by Airtel as well as music concerts sponsored by Pepsi. Unfortunately, nearly all these music platforms have disappeared due to either budget constraints or changing priorities, thereby denying our abundant aspiring music talents the opportunity to be discovered and celebrated. Usually, our celebrity music stars are handsomely rewarded whether it is when they sing at a wedding ceremony, product launch or a musical concert. For a 10 – 15 minutes performance for example, our top performing artistes earn between N5m and N8m or even more for each performance. They also receive mind-boggling endorsement deals when they are contracted as brand ambassadors. Nightclubs such as Niteshift owned by the irrepressible Guv’nor Ken Calebs-Olumese are great entertainment outlets that are also helpful in promoting and building the careers of Nigerian musicians. When the Coke studio double decker bus — equipped with a cutting-edge digital recording studio — toured the country on a road show from 2014 – 2018, the number of talented but unrecorded singers who surged forward each time to get the chance to record their songs in the studio was overwhelming; it clearly shows we have an abundance of talents in Nigeria that must be harnessed on a yearly basis. Eight years ago, Entertainment Express, an entertainment newspaper, was established by some media entrepreneurs – I was one of them — out of a desire to promote the wave making Nigerian pop music industry: the opportunities, promoters, sponsors, artistes and other stakeholders, and tell their inspiring stories. The effort failed after three and half years because of the digital pattern of news consumption that had emerged and the publishers had to rest the paper. As the world continues to change aided by globalisation and rapidly changing technologies, Nigerian music will also continue to evolve. New stars will emerge on the scene with new variants of the current engaging pop music culture – and the value chain in the music industry will be enhanced for the overall benefit of all practitioners. The role of disc Jockeys and radio/television music presenters will become even more important as they play the rich variety of ‘Naija’ music to their diverse audience.